We are only 3 weeks away from the 7th annual #TL5K! 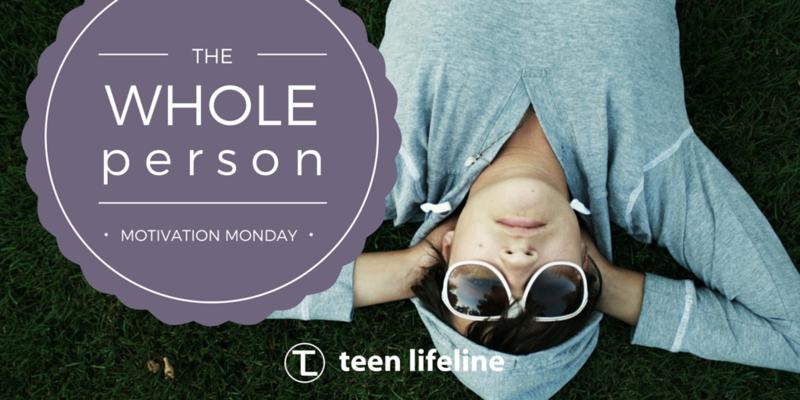 In our Teen Lifeline Support Groups, we believe that in order for a student to excel in school, at home and at life in general, we must take care of the whole person. We must nurture their emotional health, discuss their physical health and even offer an opportunity to discuss their spiritual well-being. Even in the public school system, everyone we work with agrees that having a place for spiritual discussions is necessary – it is too important to ignore! When we have these conversations, we center it around the relationships in their lives, including a relationship with God or a higher power. The great thing is, teenagers feel that they can be honest without receiving judgement from the facilitator or the rest of the group! In some of my high school groups, I have had teenagers share that their “higher power” is music, or love, or Jesus, or Buddha. Not everyone in the group has to be on the same page or at the same stage spiritually, but as you will see from Jason Brown’s story, these discussions open a door for healing and hope. One of my favorite group sessions to facilitate is week number four: The Whole Person. This is a great opportunity to talk about faith because we discuss relationships with people in our lives; the discussion inevitably leads to a discussion about God (or a higher power). It’s about being spiritually connected. I have found that most of the group members during this session share about a relationship with God. Some feel like He is at the center of their life, others like they are not very close. Every so often, someone describes themselves as atheist and not believing in God. On one occasion during a group session, we were discussing The Whole Person topic and a young man in our group said he didn’t believe in God. As I typically do, I acknowledged his opinion and we continued with the discussion. The discussion progressed and the group had the opportunity to write questions about spirituality on cards and then spend time discussing and answering each other’s questions. Several of the young men asked questions about Jesus and how to know if He existed. Someone asked about God and how He could be so forgiving. There were several other questions about faith. During this discussion, it was evident that the young man who claimed to be atheist was a little uncomfortable with the discussion. He began to ask his peers a few questions and even spoke about demons. It was as if a door suddenly opened; if he believed in demons, then he could no longer deny that there wasn’t another side to the story. His peers actually called him out on this. I was able to have a great follow up discussion as the group came to a close. This young man was wrestling with faith, and he was trying to decide if God was real or if he had no hope. Through our Teen Lifeline group, a seed was planted that day and hope was shared. Jason Brown is the Community Minister at Legacy Church of Christ. He has been leading groups with Teen Lifeline for 3 years in Birdville ISD and at TYRC.